What if your bank made saving easy? With no fees1, high-interest savings, and auto-savings tools, we do. Bank fees and low rates make saving harder than it has to be. With no fees1, high rates, and auto-savings tools, we make saving easy. Earn from high-interest savings with no fees or minimums and auto-savings tools. Add all your external account info to see everything and make transfers in one place. Get a Varo Visa® Debit Card you can use anywhere Visa debit cards are accepted around the world. Connect your account to digital wallets like Venmo, Square, Paypal, and Cash App. 2Faster access to funds is based on comparison of traditional banking policies and deposit of paper checks from employers and government agencies versus deposits made electronically. Direct Deposit and earlier availability of funds is subject to payer’s support of the feature and timing of payer’s funding. 4Based upon August 2018 analysis of online lenders charging origination fees that average 3.5% based on a $6,000 loan size. 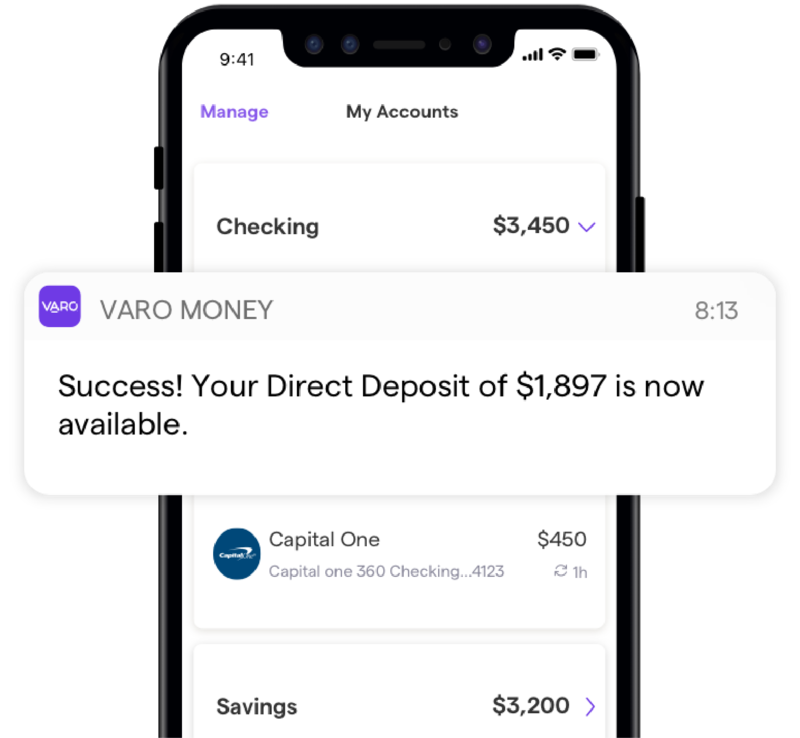 Varo Personal Loan and Varo Flexible Credit offered by Varo Money Inc. under state licenses; subject to application approval. NMLS#1547251. 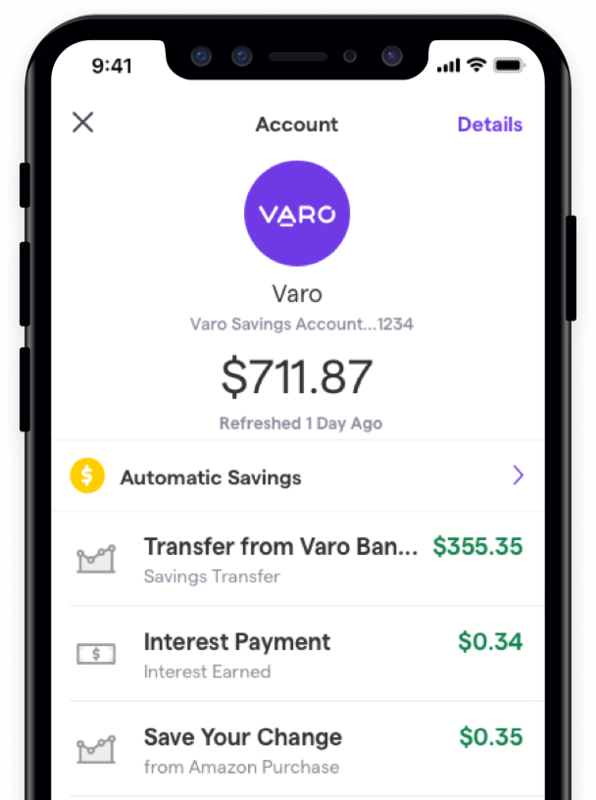 Personal loan offers are not available in Varo’s Android app. 5You must notify your financial institution immediately of any unauthorized use. For specific restrictions, limitations and other details, please consult your issuer.